While touted as a “vaccine,” porcine zona pellucida — PZP — is actually a perversion of a vaccine — an anti-vaccine — whose mode-of-action is to cause auto-immune disease. PZP tricks the immune system into producing antibodies that attack the ovaries, inducing ovarian dystrophy, oophoritis (inflammation of the ovaries), and ovarian cysts. Worse yet, per radioimmunoassay, the PZP antibodies are transferred from mother to young via the placenta and milk. The antibodies cross-react with and bind to the zonae pellucidae of female offspring. Although hyped as a “non-hormonal” method of birth-control, PZP causes estrogen-levels to plummet as the ovaries degenerate. Despite the manufacturer’s claim that PZP is “reversible,” its effects wear off unpredictably. In herds under PZP “management,” the birthing season extends to nearly year-round, putting the life of the foals and mares at risk. Because PZP messes with the immune system, it “works” best on the healthiest fillies and mares — those with strong immunity — ironically, rendering them sterile even with just a few treatments. Filles injected with PZP before they have reached puberty are particularly vulnerable to immediate sterilization. Conversely, PZP has little-to-no effect on fillies and mares with a weak immune system — they continue to become pregnant. 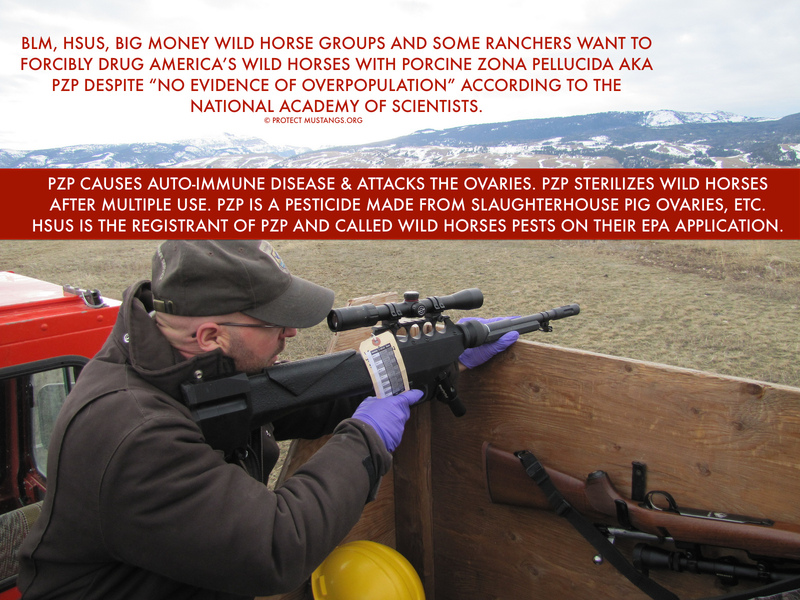 Thus, a herd being treated with PZP is undergoing selective breeding for low immunity, which puts the population at risk for disease — and ultimately, extinction. ~Marybeth Devlin, member of The Facebook Forum on PZP for Wild Horses and Burros.